Part of one of the toughest rock crawling trail systems in the state. It's short, but breaking and body damage is likely. The trail runs through a skinny canyon filled with lots of rocks and boulders. The obstacle this trail is known for is Bunker Hill which consists of two parts; The Waterfall and a section of large boulders and drops where it's not uncommon for a vehicle to flop. The great thing about this trail is even if you don't have a vehicle to run it in, since it is so short, it's a very easy hike and entertaining to watch others attempt it. (#1) This is the main parking area. 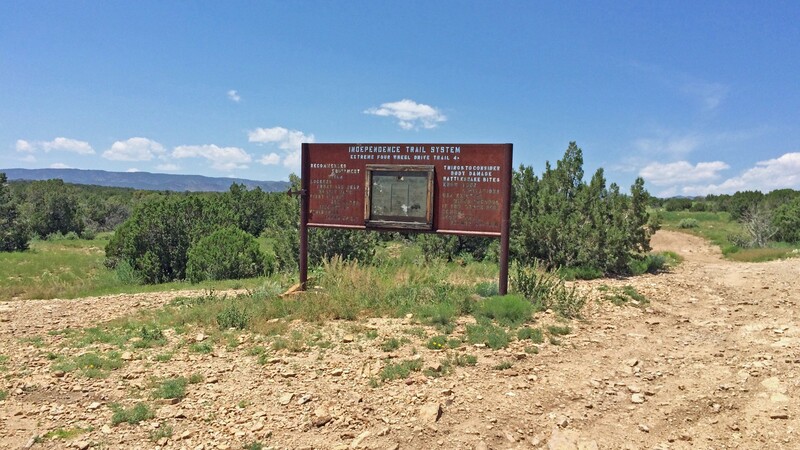 Here you will find some restrooms and a trail information board. There is plenty of space here for trailer parking. (#2) Just past the restrooms and gate you will find this fork in the road with a sign pointing toward the trail head to the left. There is also an additional area for trailer parking. (#3) Trail information sign at the trail head. The road to the left will take you to the first Independence obstacle. 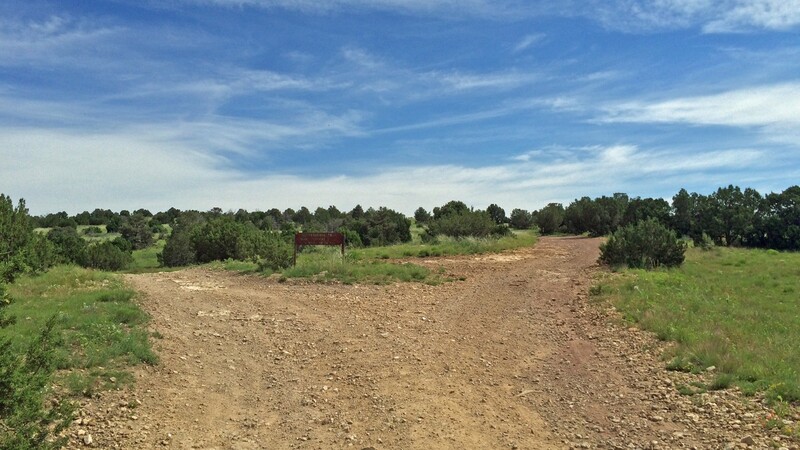 The right road takes you to Patriot Trail. From Colorado Springs, head south on I-25 and take exit 140 for Tejon St/Nevada Ave. Pass through the light and turn right onto Nevada Ave. Continue 30 miles south until you reach the town of Penrose. Turn right onto 3rd St (CR 123). Make another right onto the dirt road E St. On this road you will pass a few residential homes. 3 miles down you will reach the main parking area. Here you will find a restroom and a sign with trail information. Just past the restroom is the location of the gate that will be shut if the area is closed. If you have a trailer you can park it here to unload. A short ways up you will see a fork in the road. 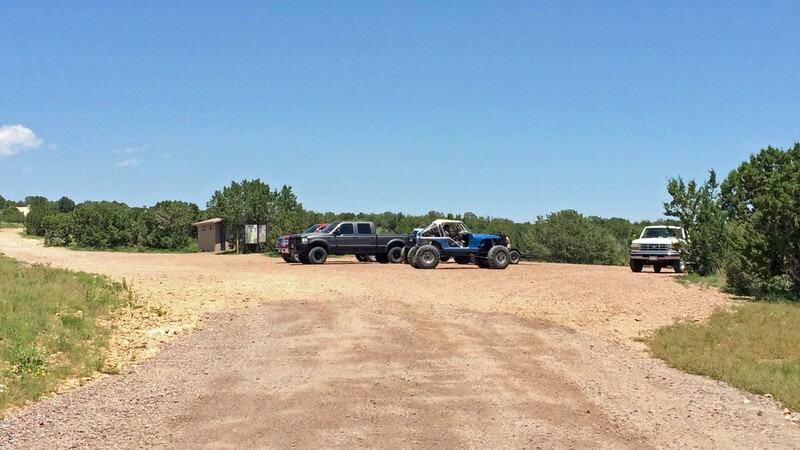 Make a left and you will find another area in which you can park trailers. This is also where you will find the trail head. There is a large metal sign where the trail starts. This trail is multi-directional so you can start here or run a connecting trail and come out here. We hiked this section after doing Liberty Trail. It got some additional maintenance from the last time I saw it. Winch points were painted and I also noticed that one of the vertical rocks near the bottom of Bunker Hill is now pushed over so it's not quite a drop off of that anymore. The trail looks great otherwise! All the trails in the area had a Trail Cleanup and Maintenance day put on by the trails adopters the Colorado Rock Hoppers. Trash was picked up, signs fixed, any stacked rocks on the obstacles were cleared, and winch points were painted so they are a bit more visible.